When me and my friends were on the coach on the way to our hotel the rep recommended this place to us. As we didn't know anywere else we ate here on our first night. The menu was massive and the food was brilliant. The staff were really friendly. After this night we ate there practically every night after apart from a couple of nights where we tried somewhere else and found it didn't compare. Never ate the same thing twice as the menu wa so big. Not sure where the other people who wrote on here ate as we all thought it was fantastic. Definately recommend it. Service was awful considering the place was half empty!! My food was OK (chicken kebab) but in comparrison to other restaraunts it was more like a starter. My girlfriends vegetarin lasagne rolls were awful!! made from frozen veg and baked in what I would guess to be something approaching a Blast furnace!!! I will be going back to Kalamaki but not back to Mermaids as there are plenty more superior places to spend my euro's in!!! I have never heard of or been to a Mermaids before Zante, so can't really comment on how famous it is, however, we probably spent half our time here for dinner. The food is excellent, not in just Zante standards but by any restaurant of its type. The staff are attentive, but not over zealous, the Manager Adele makes a point of coming to see you every meal and makes sure your OK. The food ranges from traditional greek fare to chicken dipper if you want them. Its all freshly cooked to order and the portion sizes border on epic, great for those with a good appetite, for those without then you won't be leaving a clean plate. We have seriously not had a bad experience there in any of the visits. They even have a very good wine list with many imported wines, so if your dying for an italian frascati or Australian chardonnay you'll be well catered for. The greek coffee and metaxa to finish cannot be missed! Food was sloppy and service without a smile. Tried it twice, but both times was the same. Give it a miss. Although....did win a Breakfast at Mermaids in the Plus Bar Quiz (nextdoor) and I can honstly say that it was very nice. The food was fantastic each meal was lovely..... The menu was varied and the specials were always great.... try one of the platters as long as your hungry they are huge!!!!!!! We had several evening meals and a couple of breakfasts here during our stay. Each time staff very friendly and efficient. Food arrived hot and the meals are big. The breakfasts here are good to. It does get very busy we saw a queue form on a few occasions, but it soon went down. had lovely food here and the service was very good and it was totaly packed out the night we visited was not slow by any meaning. very well presented and one of the biggest meals i think i have every eatten good value for money and lovely red wine!! I'm sorry I don't know what all the fuss is about Mermaids. I visited in a party of 8 and the service was very slow and the food average. People in my party initially wanted to have a dessert but decided against it as they couldn't stand to wait any longer. In two weeks in Kalimaki this was the only time it happened and Mermaids was the only place we would not recommend. Hi all at Mermaids and Plus Soda. I don't think we'll be making it back this year as we're going to Egypt in November. But we will hopefully be back sometime early next summer. Hope you're all well and it's got busier now the season is going. It was the First time we ate here at the mermaids this year as we were advised by Chris C. The mermaids is a wonderful place to eat and the dishes where well presented and tastes wonderful! See You all next year! how you doing ? Thought i would email you instead of using mums mobile. Hello again Deanne! I hope you aint losing too much weight rushing around in that sweltering heat there aint alot of you in the first place. Ann is still off the ciggies and seems to be piling on the pounds as a consequence! Me I'm just a fat slob anyway. Weather here is quite pleasent at 25deg and no rain at the mo! Football season almost upon us again so things are looking up. Enjoy the rest of your summer, love to Debbie. Oh yeah, for anybody interested? Fish and chips in mermaids is the best you will find in Zante! We were able to prove that the comments which were removed were made by a messageboard member using a false identity and who, as far as we know, has never visited Mermaids. We believe their comments were made with the intention of starting an argument between messageboard members. They are now banned. When I first visited Zante 6 years ago Mermaids gave a brilliant meal, loads of food, you even had to queue to get in. Last year we visited and the food quality was really poor, and very little of it...but after trying Paolo's again and being pleased I though I'd give this a second try too. I wish I hadn't I must admit it is not busy all week seats were available, I should have taken that sign and not gone in. Food portions are small and I don't think it gives value for money especially with such good quality restaurants around such as Stani's, zepo's and Michaelos. (I've just read that comments are being removed, I hope they are not as I always read up on comments before I visit and would rather have everyones views good and bad before I make up my mind!). Just to thank you for the amazing time we had at mermaids! The food was fantastic and affordable! returned 5 times! 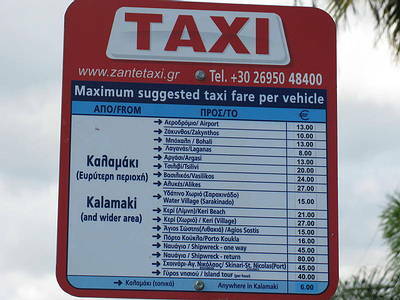 If I am ever back out in zante again I will definatly come back! con, i recently emailed admin and asked them to remove a comment left by my son on this page, but having just looked to see if it had been removed i see others have been removed to. why is this??. the reason i asked for gavs commet to be removed was because he was judging you on 1 meal 5 years ago which is unfair but some of the other comments removed are from this year. i ever critise a place but will recomend 1 where i think it is due. but you have to take the rough with the smooth the same as everyone else. good luck for the rest of the season . next year we will try you again and then judge. must admit your always busy and that must be a good point for any buisness. this is not a critisism of the restaraunt please try it for yourselves everyone then judge it for yourselves!!!!! HELLO LESLEY I UNDERSTAND YOUR COMMENTS BUT IF YOU LOOK THROUGH OTHER RESTAURANTS BARS ALOT OF PEOPLE ARE STICKING UP FOR THIER FAVOURITE BARS EATING PLACES AND SO ON. I FIND IT UNFAIR THAT YOU SHOULD COMMENT ON WHAT SOME CUSTOMERS HAVE SAID ON MERMAIDS POST I FIND IT FAIR THAT YOU GO ON AND HAVE A LOOK AT THE COMMENTS THAT HAVE BBEN MADE AND THEN ATTCKED ON OTHER POSTS FOR OTHER PLACES AS WELL NOT JUST MERMAIDS.EVERYONE IS ENTITLED TOO THIER OPINIONS FAIR ENOUGH BUT AT LEAST WE HAVE ADMIN TOO SORT OUT PEOPLE THAT JUST COME ON HERE TOO SLAG THE HARD WORKING PEOPLE OF KALAMAKI OFF AND TRUST ME ALOT OF THE COMMENTS ARE FICTIONAL AND ITS UP TOO ADMIN TOO SORT THEM OUT AND ITS A TOUGH JOB.YOU CANT STOP PEOPLE FROM PUTTING BAD COMMENTS OR GOOD ONES SO I SAY NOTHING WILL CHANGE LESLEY.SEE YOU SOON HOPE TOO CHAT UP CLOSE. Mermaids is not advertised as a "TYPICAL GREEK" if you took the time to read the menu it clearly explains its a wide varity of food for everyone to eat... if you wanted a typical greek meal then u arent that far away from the mountains where "typical greeks" live with resturants....if mermaids didnt serve english food u proble would have moaned about that too... NO PLEASING SOME PEOPLE... i have eaten there this summer and lots of time 2003/2004 and never found a problem and i can certainly assure u THEY ARE NOT MICRO WAVE MEALS... i dont no what kind of food your used to but certainly not good, honest food...... Con you do a brillant job and you have a good team and the CHEF is ace.... people like this who write things that are pointless have nothing better to do with there time. 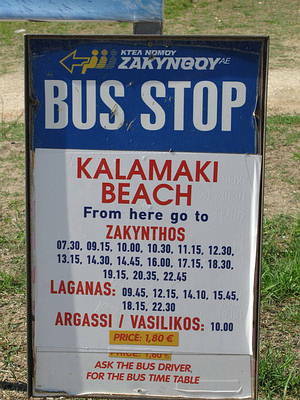 If ur going to zante ......... go to kalamaki........ if ur in kalamaki........you've got to go to mermaids!!!!!!!!!! Just a quick msg to say that whilst in Zante I had a lovely meal here. I would say that it was the best meal that I had throughout my whole time away. The service was lovely and the people were very friendly! Thank you for a wonderful meal! I will definately go back again soon! i have recently visited kalamaki for about the 8th time and every time we go we have to visit this fantastic place, everyone who works there is friendly and polite, but the food is the best on the whole of zante. Even my gran parents that have been going for around twenty years cant get enough of mermaids ( you know who it is yet con(fish and chips) hahahahahaha hopefully will be there again soon so thanks for the good grub. And thanks for the birthday cake for my little sister it was very nice. WELL, IF YOU LIKE YOUR FOOD SUPER QUICK AND NOT COOKED PROPERLY, THEN THIS IS THE PLACE FOR YOU. WENT TO MERMAIDS FOR A CHANGE AS WE HAD SEEN GOOD COMMENTS FROM THIS WEB SITE. MY HUSBAND ORDER CHILLIE CON CARNE AND I ORDERED BBQ CHICKEN & RIBS (I KNOW IT'S NOT GREEK, BUT I FANCIED A CHANGE. OK) WELL WE HAD IT ON OUR TABLE WITHIN 10 MINUTES, NO WORD OF A LIE. WE PAID A NICE SUM FOR THIS MEAL SO WOULD HAVE EXPECTED IT TO BE COOKED PROPERLY NOT MICROWAVED. SO IT'S UP TO YOU, CAN YOUR STOMACH HANDLE IT. MY RATING IS FOR THE PLATES ONLY. Well once again, we ate our breakfast here every morning and our tea here every night. We cannot fault this place one bit. The portions are massive, the choice is fantastic, the food is great and the staff are excellent. Breakfasts are great value for the amount you get and are fantastic. Evening meals are amazing - I recommend the steaks, chicken sizzler and cream and garlic lamb cops. My boyfriend likes the mushroom starters too. Puddings are exactly the same as the mains and huge! We also had a platter for a starter and it would be enough to feed both of you for your main meal! We would never eat anywhere else apart from Mermaids. Thanks to all the staff once again for such a great holiday! Absolutely fantastic, such a massive menu, could be there for three months and eat something different every night. We ate there twice at night and had breakfast there every day. All so friendly, great service and stunning food, everything we heard about the place were all true and more. Came home yesterday and already wishing we were back there. Fantastic restaurant, had dinner here several times and food and service was always top notch. The menu is huge so it's very easy to eat there several times. We went back time and again as there was always something else I wanted to try on the menu. Food is always piping hot and obviously freshly cooked. The service we received was excellent, very professional and friendly. We also enjoyed breakfasts and lunches there during the day. Mermaids is a truly fantastic restaurant and I cannot wait to be sat there eating the finest food in Kalamaki in 4 weeks time!! Im Deanne, Im going to be working in Mermaids this summer! So hi to you all, and Im really looking forward to meeting all of you!!! Hey mori i sent you a email did you get it? If not send me one on zakinthian@hotmail.com see you soon. if you are going to zante this year, mermaids, mermaids, mermaids! although i worked there last year, i got to try a lot of the food and it is simply delicious! the greek meze for 2 is a must for the greek lovers or if you are not really into greek food then a traditional spag bol or steak is also just to die for! everynight different huge range choices of special meals with outstanding prices too; you are just spoilt for choice, you can't beat it. the staff, kitchen and floor work their hardest so that you have an enjoyable and full-filling atmosphere and service. yes i do admit that in the height of the season it can tend to look rushed as staff literally run round, but this is only so they can give everyone the chance to experiance mermaids and the fantastic service. in return they recieve excellent comments and customers returning everynight and every year! i seriously have been trying to get in touch with you both for ages but my new bludy phone won't let me ring or text abroad. hope you both had a lovely x.mas and new year (i did think of you)! i am living in nottingham now but i went home the other week and spoke to stacey (voudie) and she said that adele came over to do some interviews. i would have come for a chat about this year if i had of known. if you you could e-mail me that would be great as there are things i would like to ask and disscuss. providing you are still looking for staff. hope you are both well and happy and say hi to dutchess (con's auntie) for me. oh adele, i got you some baggy jeans so don't worry, haha and con say hi to yhannie, stavross etc and the rest of the girls for me, hehe (so gonna get beat up for that now, lol). take care! Hey luce great news you are coming over twice looking forward too seeing you all preparations have started for me already staff,new food ideas etc great stuff in line for 2007 so hopefully you can try alot of new stuff.Say hello too everyone for me see you soon. Hey no prob they are all the truth!! Good to here from you and hope everyone is well looking forward to seeing everyone again missing it Will keep in touch my e-mail address is traceyteggart@hotmail.com talk to you soon. Hey trace thanks for the great comments,I will send you a email so please remind me of your email my computer has gone nuts.Keep in contact and looking forward too seing you back at work for 2007 and offcourse voithie stacey. Hi to everyone from last summer!! Looking forward to seeing you all again this year i hope. If you r visiting zante this year i tell you now you must visit mermaids the staff r so friendly and the food is gorgeous, they have such a wide selection of food on the menu i was working over there last summer and i still never got through it all. The portions are great and its cooked fresh all the time!! It is a must do!! I am a travel agent back home and i have sent loads of customers to it and they have all said it would prob be the best on the island!!! People tend to go back night after night so it can get a bit busy but sure that is a good thing and you never have to wait long the staff r great and accomodate u as soon as they can!! They also own the bar next door called plus soda which has loads of good entertainment on most nights would recommend it!! Just wanna say hi + thanx to con, adele. stace, gemma, luce, emma (aka kylie) dj rich + of course yannis!! Some of the best people ever!! P.s if i have left anyone out sorry wasnt done on purpose!! wow this resturant was my fave we went to alot in kalamaki but this was top notch spot on everything was gorgous i loved everything we ate we went here about 3 times in two weeks and it was delisous big round of applouse for the chef!!! fantastic!!!! We've been visiting Zante and Mermaids for years now and have always had a excellent meal. The restaurant can be busy and bustling at times, but I find this just adds a terrific atmosphere to the place. Andrea try Con's.. zakinthian@hotmail.com hope this helps..
Just thought i would say that i was at Zante 3 yars ago and my family and I of 18 were in Mermaids every night, it was fantastic!! Hi Guys, Just want to wish you a very happy new year and all the best for 2007.. Roll on the summer! Hey Chris mate tried texting but havent got your correct number and have benn up and down too athens since winter has started.How are you?merry christmas to you as well has your dad?I use this email alot zakinthian@hotmail.com so we can stay in touch with that youhave a great 2007 and i really hope too see you this summer. hi to all the people that came to mermaids this year im sure i will be seeing you all next year. Hi to con adele and all the staff at mermaids hope you have a gr8 xmas and a fab new year. anyone going on holiday in zante this year must vist mermaids its the place to be with fantastic food friendly staff sum thing for every1 on the menu from monster steaks with all the trimmings to fresh seafood,with prices to suit any budget! value for money for large families! all food cooked fresh and presented stylishly on humungous plates! must see the most popular restaurant in Zante! TOO ALL THE JUST ZANTE BOARD AND ADMIN HAVE A GREAT 2007 WITH LOVE AND HEALTH FOR ALL YOUR FAMILIES MAY YOU ALL ENJOY LIFE TOO THE MAX.LOOKING FORWARD TOO SEEING YOU ALL ON OUR ISLAND. FROM ALL THE STAFF AND MANAGEMENT OF MERMAIDS AND PLUS SODA MERRY CHRISTMAS. I have been going to Kalamki now for the last 5 years and I have to say without exception, Mermaids is continually the best restaurant in the resort! The menu is so comprehensive I am forever spoiled for choice at the different varieties of food available at fantastic prices. A lovely atmosphere along with excellent prompt service, comfortable seating and run by an adorable couple make Mermaids a 'must' to visit and I guarantee that you will go back time and again! Thank you Con & Adele for making yet another holiday a very enjoyable experience!! I would recommend the Mermaid to anyone as the food and serivce is excellent! Adele, if you are reading this - thank you for trying to find my four legged friend. I heard you and Lara saw him on the strip! I am still searching for him! Just thought id post my opinion on here, as everybody else seems to be weather it is constructive or not. I have been going to Kalamaki for 13 years, and have eaten at many places such as Merlis, Paolos, Paris, Stani, Michaelos and not forgetting The World Famous Mermaids. The staff at Mermaids are always very welcome, never presurize you into going in like many other places do, no they just give you a huge smile followed by a warm welcoming smile. They certainly do not feel the need to park their car over the other side of the road with a huge board plonked on the top advertising their specials, nah, Mermaids is far too superior for that. The amount of customers who visit Mermaids day in day out speaks for itself. The restaurant is always packed and if you go at the height of the summer, you will struggle to get a table some nights, but you can sit next door and relax in the bar - Plus Soda. I have a suggestion for those who thinks Mermaids plates are too big, the food is crap and too expensive- try going to Tazies or even further a field down to McDonalds in Laganas, where you will get very boring and plain and simple food, on boring plates which tastes so bland its unreal...Or out of a carboard box.!! I do not think Mermaids is overpriced for the excellent presentation, the incredable service and the value of food that you get. I dont think other owners of restaurants over there bother to come to the UK for the food and drink expo to get different and individual ideas for their restaurant do you? All that Con asks for is if someone doesnt like their meal, or say the sauce isnt very nice, for him to be told. He isnt doing all the work for anybody elses benefit apart from ours- the visitors to the resort. He tries to make sure everybody has a brill holiday, as thats how many people like me return year after year. Thats all I have to say on this matter, just go and see for yourself. I know the staff work bloody hard no make sure everyone has an enjoyable visit. I know I certainly wouldnt try anywhere else thats for sure. Mermaids is my number 1. All the best guys have a brill winter, you all deserve it esp Con and Adele who work so hard. this was my first time at greece but was my familys 3rd. they had said that mermaids was the best restuarant on the island. on my first night i ate in ther and dont get me wrong they were all lovely people in there especially adel. but i do not think that it was half as good as what people had made out on the site. as my mum had said she really enjoyed it in there before, i can only assume that mermaids did really well in the last couple of years and got good publicity so feel they do not need to do alot to make things better but i was not impressed at all and i think its a shame cos they are so nice in there as people. and as for dj ginge in plus soda.. i did not like him and was not entertained by him at all.. on one example i was singing on the kareoke with dj rich and dj ginge felt the need to make comments as he thought he was funny but i thought he was actually quite rude...... apart from that i think plus soda is a great place with a great atmosphere i loved it there as we were in there till gone four every night. I came back from Zante, last Wednesday, and as usual i loved it. But i have to say the most nicest place to eat, your meal, day and night is Mermaids. It's fabulous, the food is out of this world. Every year i have been there, i have to say the only place i eat is Mermaids, to me it is the only place you can get, a big, well cooked, tasty meal. And everything they serve is lovely. I took my husband there for the first time last week, as it was my 7th, and he loved it. We ate in Mermaids 6 out of 7 night's, he loves his food, and he said Mermaids was the best food he had ever eaten, and the beat place he had eaten in. And believe me, he's travelled all over the place. If you do go to Zante, go into Kalamaki and PLEASE try mermaids, i promise you wont be disappointed. There's something there for everyone, thanks to Con and the staff. For great food again, Ha! It was great to see you, and i look forward to bringing my two children to meet you. See you next year, oh before i forget my mum and dad say hi. If you had stayed when DJ Ginge was working you would see the amount of people who were there. We went to Plus Soda every night and he was there most nights. The terrace would be full every night, all night, and most people would then move inside. It might not be your taste but he was catering for the main customers around at that time (older couples), who enjoyed it and came back every night. mermaids was very good food service only downfall very busy and noisey if you want a relaxed meal stay away. and those comments I can not reply too. However, I would like to point out that I was brought in to take over from DJ Rich (who did a good job ) at the end of the Season, as he was leaving, because he had other work lined up in the UK. So your comments are mis informed, and have nothing to do with money. This can be confirmed by Con the owner and Yanni and the rest of the staff.. In fact if I was useless Con WOULD NOT EMPLOY ME. Rich was still working there, I was brought in to boost the early evening and work til Midnight with Rich taking over inside, so you only had to wait till Midnight, if what you wanted Rich could supply. From what I remember, Rich was Glad of my help as he was not happy working with that type of crowd doing Karaoke, and did not want to do it, so he was Happy that I could keep the crowd , get them into the club, and it was up to Rich, if they were going to stay. In fact now Rich has gone, The Club and Bar is now the buissest in Kalaimaki, with very good crowds in side of all ages till very early morning, last Saturday it was 4am, with over 30 people still there. If Con had his way I would be working there seven night a week if it was not for the fact I am in demand else where, in other clubs around the Island , Red Lion and Legends, to name just 2. I would consider 7 nights. Check the web site www.royalzantecruises.com I part own this, as well. Other than that Con and Adel run a good place in both Plus Soda and Mermaids, and if you do not like it there are other place to go. Hi Lucy, nice to see you also posting on here :) shame the weather let you down - and you're apartment! Only managed to visit mermaids once this time, i had Chicken with Lemon sauce, it was lovely, my mum had some greek stuffed chicken, i also tried that and wished that i had that instead. as usual it was busy and the staff were always making sure that everything is ok.
Another picture of the huge portions you get at Mermaids! We returned to Kalamaki on 21st September for two weeks and returned back this morning. We had our first holiday here at the end of May and liked it so much that we booked to go back again. Mermaids has got to be the best restaurant in Kalamaki and we made it (and Plus Soda) our second home - we had our breakfast, tea and nights there - and spend more time there than at our hotel. You will not be dissapointed with the food. The portions are HUGE so you never leave hungry. I would reccommend the steak and chicken sizzler! The desserts are also excellent - bannoffe pie, apple pie and strawberry cheesecake all great! Not only is the food great, the staff are also very welcoming and will do anything to please you. Thanks to Con, Adele, Stacey and Gemma. Also, a mention to the breakfast guys who seem to get forgotten (!) they were always bright and cheery in the mornings (well, 12pm). I think the amount of people who are waiting for tables some nights proves how popular Mermaids is and how many people love their food. We will be going back to Kalamaki next year and will be spending all our time in Mermaids and Plus Soda once again.